As virtual reality becomes more complex and immersive, mobile app companies should invest in developing VR features for their app. Virtual reality is no longer in its infancy. Today, businesses see VR as the go-to tool in a new and lucrative market. Many companies predict virtual reality will be the next big step for the app development industry. Virtual reality technology has enormous potential in the mobile app space. This article should help businesses realize the potential value of creating VR-based mobile apps. Today, VR is a booming and growing field. Gadgets like HTC Vive, Oculus Rift, and PSVR (PlayStation Virtual Reality) have successfully proven the benefits of virtual reality. HTC Vive, Oculus Rift, and PSVR are VR headsets that allow users to interact with virtual and 3D worlds through technology. For example, Oculus Rift released a new game that allows customers to pretend they are walking in the Star Trek universe. Each player has a mission that s/he has to complete while using the headset to navigate through the fictional world. In 1957, Morton Heilig invented the “Sensorama.” Considered the first VR machine, the “Sensorama” acted as a device that displayed images and emitted smells while the viewer would sit in a rotating chair. The machine allowed the viewer to watch the screen from separate angles, which provided different depths to the picture, creating an illusion. After the Sensorama, Ivan Sutherland created the first VR head-mounted display (HMD) in 1968. Using a computer program, the VR device connected to a stereoscopic display that showed virtual wireframe shapes. The display would change perspective with the head movement of the user. In 1978, VR inspired the Aspen Movie Map, which allowed users to travel through Aspen, Colorado from a chair. The Movie Map used photographs from all over the city to create a virtual world for people who couldn’t visit Aspen in person. VR also became integrated into flight training. The Super Cockpit, aimed at trainees, allowed these novice pilots to control a virtual aircraft by using gesture, speech, and even eye movements. The term “virtual reality” became popular in 1987 when Jaron Lanier, a computer scientist, coined the phrase. 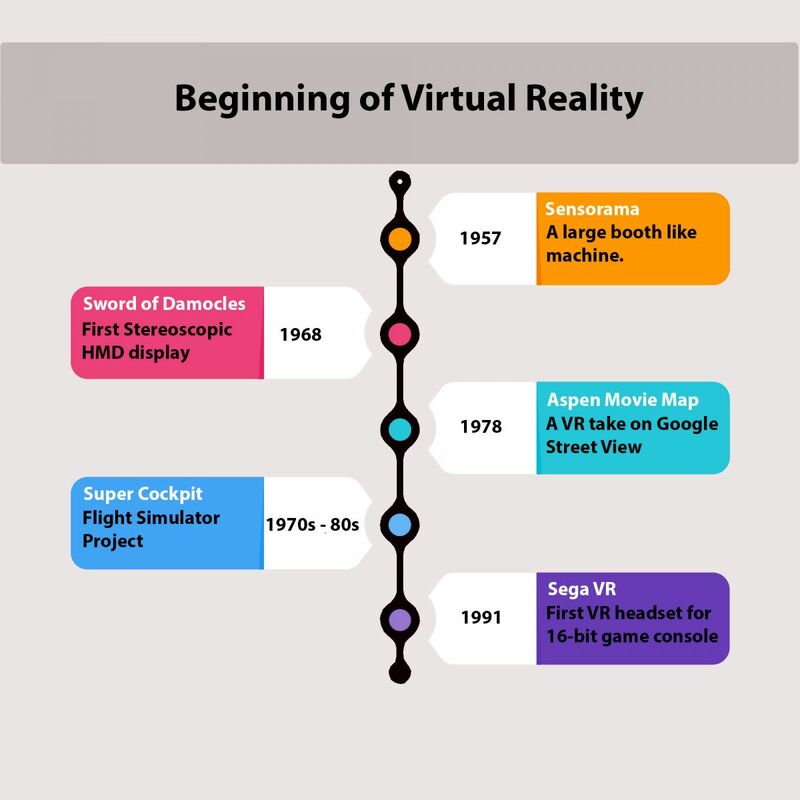 In 1991, virtual reality opened to the public in the form of group arcade machines. Players could wear goggles and have an immersive 3D experience for gaming. Sega, in 1993, became one of the first companies to launch a VR headset. It took the company four years to develop this headset as an added accessory for the Genesis gaming system. Unfortunately, the headset was never released to the public, after experiencing developmental difficulties. In 2010, Palmer Luckey, at 18 years old, invented Oculus, the revolutionary virtual reality headset. Oculus transformed the virtual reality game, impressing investors and scientists with its quality and creativity. Facebook bought Oculus in 2014 for $2 billion. 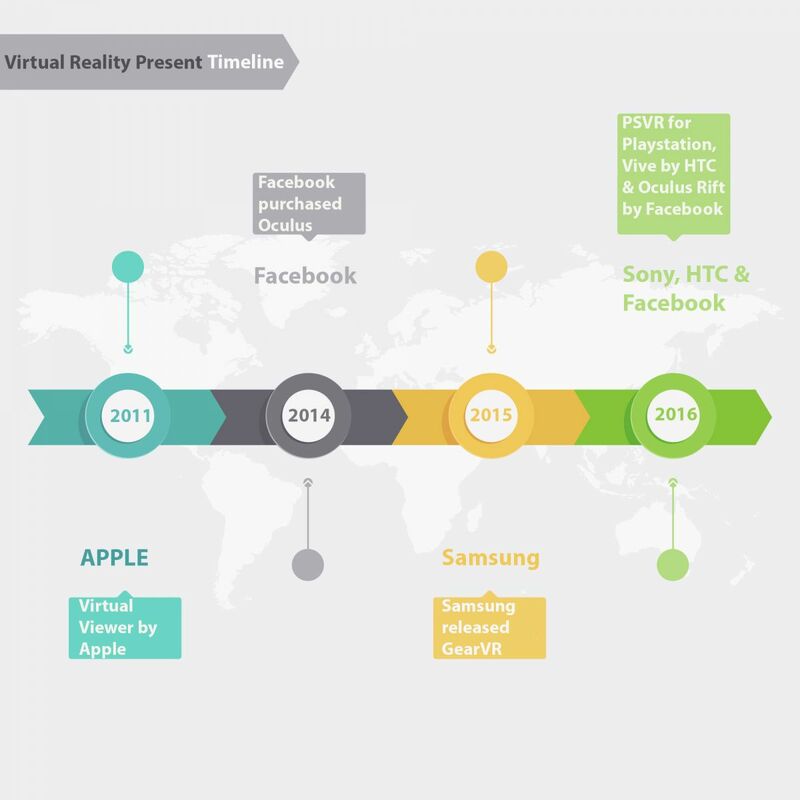 By 2017, market leaders like HTC, Google, and Sony were heavily invested in VR development. The release of high-end VR headsets, like HTC Vive and Oculus Rift, allowed consumers to physically interact with virtual worlds and track their body movement through space. VR headsets are now an immersive experience. The technology creates illusions for your eyes, ears, hands, and even nose. Further, VR headgear has become smaller and lighter for the comfort of users. As of now, Sony HTC has shipped around 2 million VR headsets. More people are recognizing the potential of virtual reality and are investing in creating an experience for themselves. The below picture shows the difference in resolution between two different VR Headsets models, the HTC Vive and HTC Vive Pro. 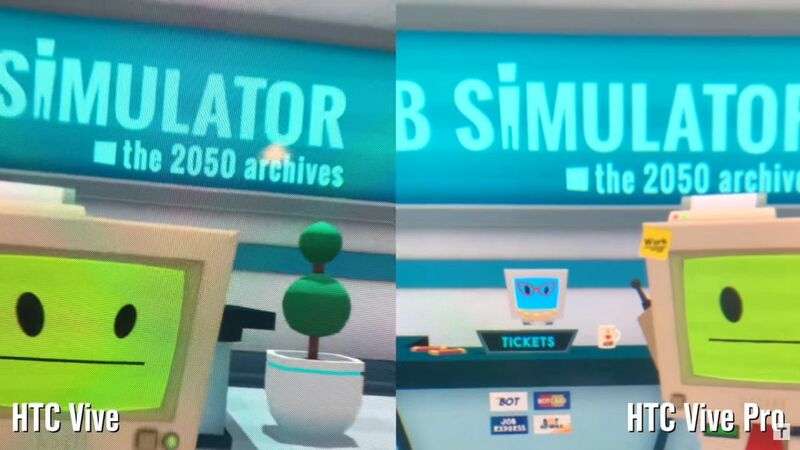 The difference demonstrates the pace of progress in VR. HTC Vive Pro improved upon the original headset and its resolution is much clearer. Companies continue to make great strides in strengthening the VR experience. VR continues to grow in quality and intensity. Soon, VR will match the depth of reality. Considering the growing technological advancements in VR, the future seems full of opportunities. A VR startup, Varjo, already claims to have launched a VR headset with the resolution equal to a human eye. By 2020, over 200 million VR headsets are expected to be sold while gaming is projected to represent about 84% of the total VR industry revenue. Mobile apps are growing at an exponential pace. There are more than 3 million apps in the Google Play store and around 2 million apps in the Apple App store. In such a crowded market, how can you help your app stand out? Implement virtual reality. Gaming is a huge part of the app development industry with mobile games, like Candy Crush, reaching 2.73 billion downloads in 5 years. Virtual reality heightens the gaming experience. Users enjoy the more immersive play and can become actively involved in the game. If virtual reality is implemented into a mobile device, then the user can take that experience everywhere. Further, mobile virtual reality has great workplace applications as well. According to a study by Samsung, a famous soft cheese brand, Boursin, implemented virtual reality into one of their events and received great results. Two months after the event, 98% of the participants remembered their experience with Boursin and 62% felt they learned new facts about the company. As VR technology continues to advance, so does VR innovation. For example, a startup, called IrisVision, created an aid for people with impaired vision. IrisVision allows people with low-vision to magnify a certain area while maintaining the contextual integrity of the environment, so the scene appears normal. Virtual reality apps allow users to access their VR experience anywhere. As such, businesses can constantly stay in touch with their clients while creating memorable moments. Make sure your app is built with the right phone compatibility. You will need to pair the headset with your phone and only certain phones allow for this pairing. Some examples of compatible phones are Google Pixel, Motoz, Huawei Mate 9 Pro, Asus Zenfone, and Samsung Galaxy S8. These phones all support virtual reality technology. As well, the phone needs a headset to connect with. The best headsets for phones are the Samsung Gear VR or the Google Day Dream View. Remember, just as VR enhances a great experience, it can also enhance a bad experience. You must carefully choose what smartphone and headset your app will be compatible with. Virtual reality continues to grow and change with every advancement in technology. Now is the time to build your own virtual reality app and create a unique experience for your users. VR acts as a powerful tool that can enhance the power of your brand and product. Make sure to implement it properly in order to create the best VR app. 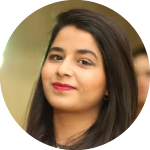 Nyma Malik is a writer working with CitrusBits, a mobile app development agency, for the past year. She is well seasoned in writing about technologies like VR/AR, blockchain, IoT, and artificial intelligence.